Before the sun rises, monks begin moving throughout the monastery. Some making coffee or setting out items for the day; others in prayer before the Blessed Sacrament. No words are spoken as we pass one another on our way to begin our day in common prayer. Our vow of conversion compels us to begin our day in common prayer and this serves as a two-fold reminder: first and foremost, that our lives are dedicated to praying for the glory of God and the good of the world, and second that we are dedicated to our vow of stability in this community. Our common prayer is one of the great gifts of monastic life – we are soldiers running on the path to the Father with the Gospel as our guide. Following our common prayer our custom of silence remains, we each retire to different places throughout the monastery to immerse ourselves in scripture. St. Benedict prescribed in his Rule that part(s) of the day should be dedicated to Lectio Divina or Sacred Reading. Choosing a passage from scripture, the monk will read slowly, pondering each word. This is yet another way for us to communicate with our Creator; carefully studying his words and actions and applying that to our daily lives. It is important to remember that our scripture is always taking on new meaning. 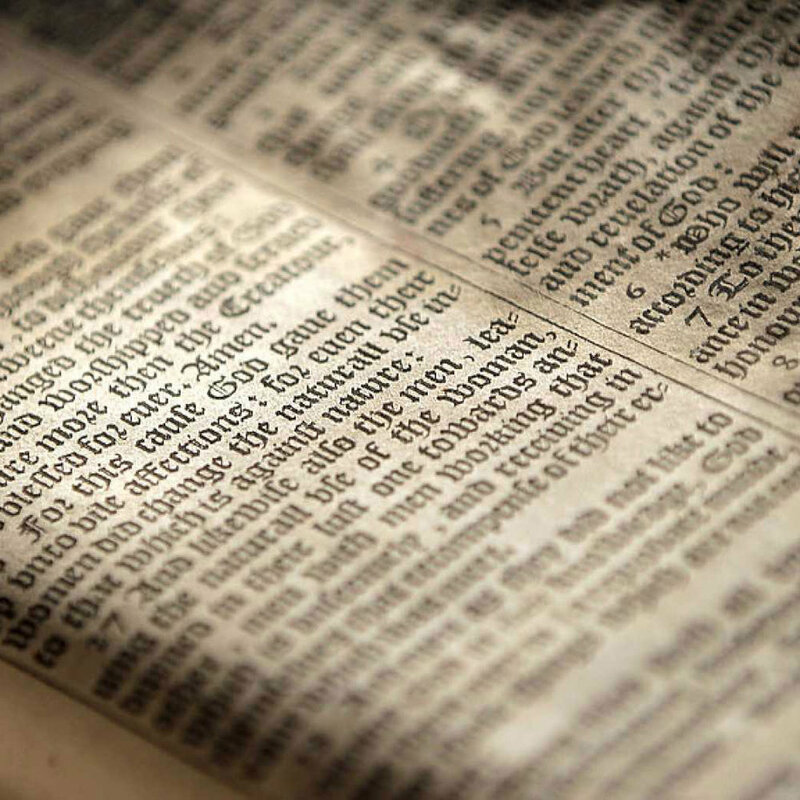 God’s word may remain the same, but offers us different insight when our circumstances change. Our lives and interactions are a constant reminder of God’s divine presence, and beginning our day with his word firmly establishes this truth in our minds. While meals may seem mundane, we seek to use this time granted to us as best we can. Our appeal to God for assistance in prayer extends to breakfast – we remain in silence and take this opportunity to continue the conversation with Him that began at Vigils and continued in Lectio Divina. Following breakfast some are called to begin their labor by washing the dishes or resetting the tables in the monastic refectory. Others offer assistance to the elderly and infirm monks. These men who have dedicated their lives to prayer and work are a great example for us to aspire to and are valuable members of our community. For others these moments after breakfast are a time for conversation over coffee or catching up with the morning news. It is in these idle moments that the beauty of community life can be most evident. Camaraderie with our brothers is edifying for our vocation and offers a respite before beginning the day’s work. St. Benedict instructs us to seek a balance of prayer and work. From our foundations in Bavaria in the 800’s monks of our order have been dedicated to education. We continue that tradition here, serving as faculty, staff, and chaplains to Benedictine College, and Maur Hill-Mount Academy. All that we do flows from the well-spring of the Gospel, seeking to share the love of Christ with the world in whatever capacity we are called to serve. Beyond serving in our educational apostolates, monks serve as parish priests, prison chaplains, hospice ministers, and some serve in other capacities outside of the monastery. The monastery itself also requires day-to-day service. At midday, it is time again to re-focus our minds to our greatest task: our prayer. Midday prayer, while brief, is a great blessing and necessity – it offers a reprieve from the hectic nature of work, reorienting our minds toward God in the Psalms. As we rise, we turn, just as during morning prayer, to the altar and crucifix, crying out together, “O God, come to my assistance! Lord, make haste to help me!” In this prayer, we call upon the Lord to sustain us for the remainder of our day. Midday prayer is critical to maintaining our rhythm of prayer and work. As the sun reaches its apex, we come together as a community to take part in the holy sacrifice of the Mass. 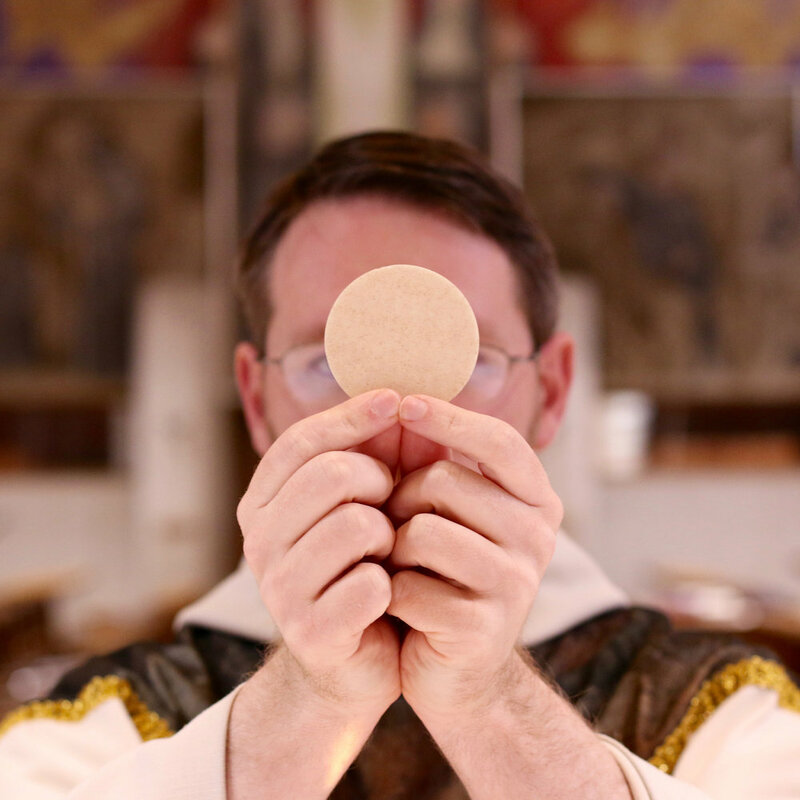 The Eucharist is the source and summit of our lives as Catholics – and receiving our Lord each day is the peak of our prayer life. Our daily Mass is also a great opportunity to come together with the students at our apostolate, Benedictine College, and with many from our local Atchison community. It is in this coming together that our faith is made manifest, announcing ourselves as apostles of Christ, just as the apostles themselves partook in the Last Supper. Lunch is another opportunity for us to gather in common. Lunch is often a time for us to catch up, to enjoy one another’s company, or share a meal with a guest. Breakfast is eaten in silence and during dinner we have table reading (more on that later) so this is the only meal during which we take the opportunity to converse with one another. There is a great community spirit and a buzz throughout the refectory. It is always a blessing to share an anecdote, or for one of our older monks to thrill the room with tales of days gone by. The Prior – Second in command of the monastery, he is repsonsible for day-to-day operations. The Procurator – In charge of the Abbey’s business dealings, he is responsible for all of our finances (including the all-important paying of bills). 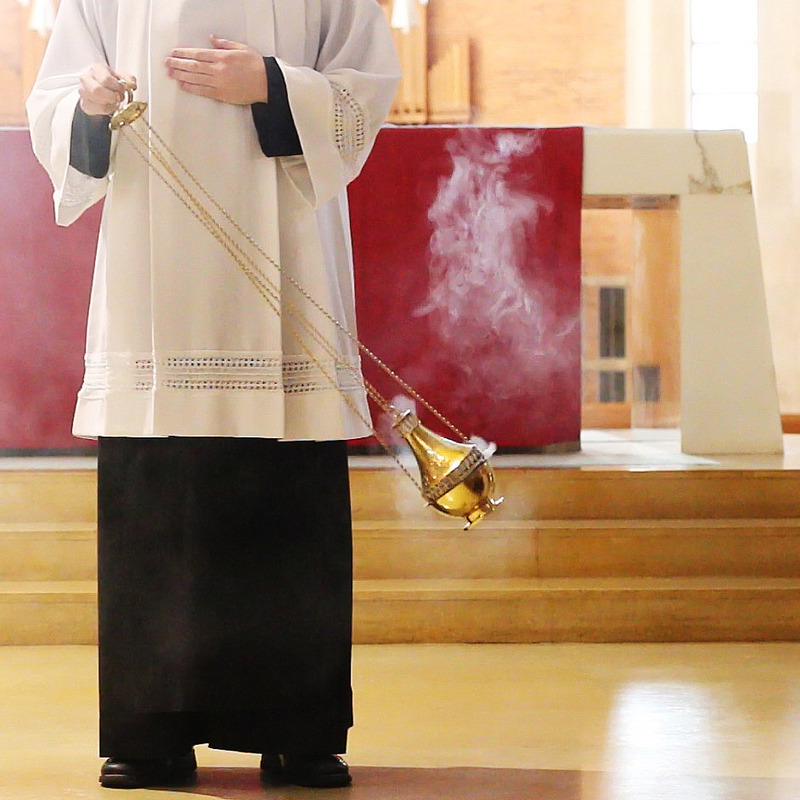 The Sacristan – Facilitating the preperation and execution of all liturgies at the Abbey, his diligent efforts provide the backbone for our prayer. The Groundskeeper – Seeing that the grounds around our monastery are cared for, the groundskeeper ensures that our building’s exterior is a reflection of our faith. There are more tasks than we can name here, and we are blessed to have talented monks that care for our home. As the sun sets our voices rise as one, once again, in the chanting of the Psalms. On Sundays, our observation of the Sabbath closes with the celebration of Solemn Vespers. As the community chants together the celebrant incenses the altar, the smoke surrounding us and rising to envelop the Crucifix that hangs in the center of our church. This serves as a physical reminder that our lives and liturgies may take on many different forms, but that Christ remains ever at the center, as an anchor of hope for all that we do. At the close of Vespers we sing a Marian hymn together, appealing to the Blessed Mother that more men will join us in our search for God. Following Vespers our community returns to the silence of the morning and the monk is called to once again return to scripture. This allows us to leave our own world behind and immerse ourselves fully in the Word of God. God is revealed to us in the scripture so we must constantly revisit it; what had been obvious to us in the morning may take on an entirely new meaning, just through the course of a single day. Having these opportunities to spend in the quiet of God is essential to our monastic lives. While all the faithful are called to spend time reading scripture, we set aside two portions of the day where all work and all distractions are removed and we can simply be with God and his Word. As we leave our Lectio time behind we gather together for the final meal of the day. Once again, we try and make the most of the time that is given to us, so dinner takes on its own complexion. St. Benedict calls for us to spend a meal listening to some words of wisdom. Each evening at dinner a passage from a book is read; the topic can range from historical works about past presidents of the United States to, more recently, Rod Dreher’s The Benedict Option. 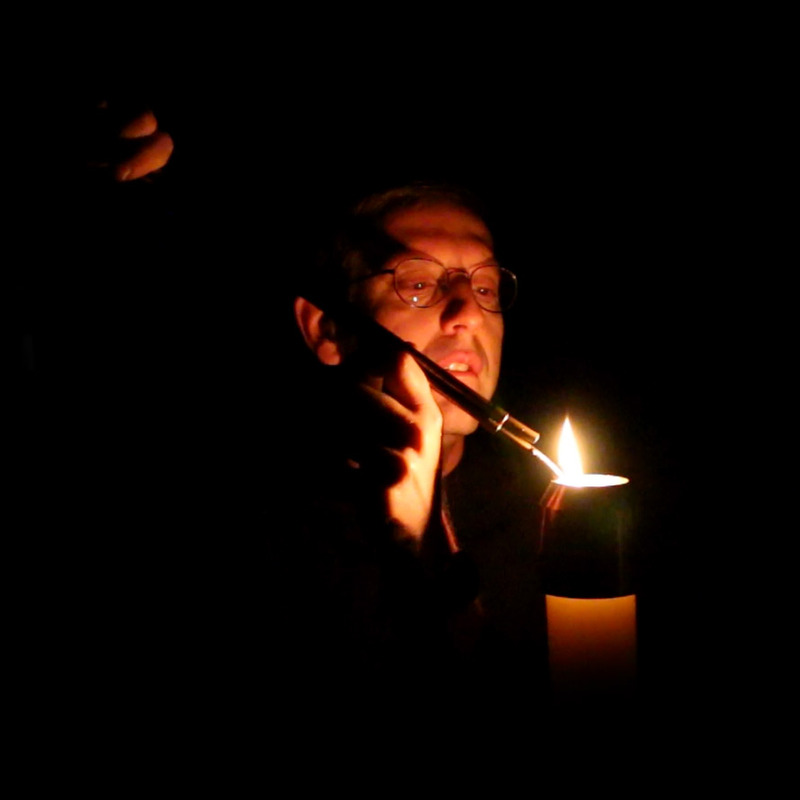 We begin with a reading from our Necrology. Monks, like the late Abbot Owen Purcell, compiled texts about the life and works of our deceased confreres. On the anniversary of a monk’s death we celebrate our brother’s memory by reading about his varied contributions to our community and our apostolates. We then read a martyrology for the following day, that we might be inspired by the saints of our Church. We close out the meal with a reading from the Rule followed by a prayer of thanksgiving. Ending a meal in prayer can be just as good as starting it that way, reminding us to be grateful for what we have received and that our lives should be surrounded by prayer. Before our day ends we come together one last time to pray compline. After the call to prayer we immediately recite together the penitential rite. While we endeavor to serve God to the best of our ability, it is important to remember that we are not perfect, and we ask for forgiveness, not just from God, but from our brothers in Christ. St. Benedict tells us in his Rule to keep death daily before our eyes. After we have recited the Psalmody together we conclude Compline with a final prayer and the leader makes a request for all of us: “May the all-powerful Lord grant us a restful night and a peaceful death.” It is in these words that we are reminded that we are mortal beings, and that our greatest hope and desire is that we will ultimately come to rest with the Father in Heaven. Just as we did at Vespers, we once again conclude our prayer with a hymn to the Blessed Mother. The bell tolls for the final time at 8 p.m. As the bell echoes through the halls of the monastery and across the grounds that surround the monastery, we are called to return to silence. The call to silence is not just one of external silence among brothers, but one of internal silence as well. We seek to quiet our minds and let the Spirit enter into our hearts. Silence isn’t just about being disciplined, but about creating an atmosphere in our home that will allow us to be more mindful of God’s presence so that we may spend this time deepening our relationship with him.